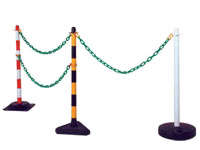 This type of rubber base 6 post plastic chain kit has been successfully utilised by both commercial and industrial customers to great success. 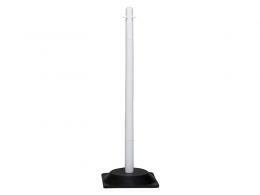 They stand out as a very useful addition to companies who have a need for a barrier that is easy to erect and remove. The plastic barrier is priceless in being able to control traffic flow, both vehicular and pedestrian, and can be used to aid in directing personnel or equipment to different areas as they are required. Where can this temporary barrier be used? Maintenance teams, school janitors, cleaners, exhibition organisers, shop owners, warehouses and offices find this barrier invaluable. The chains are easy and quick to remove and to put back on. 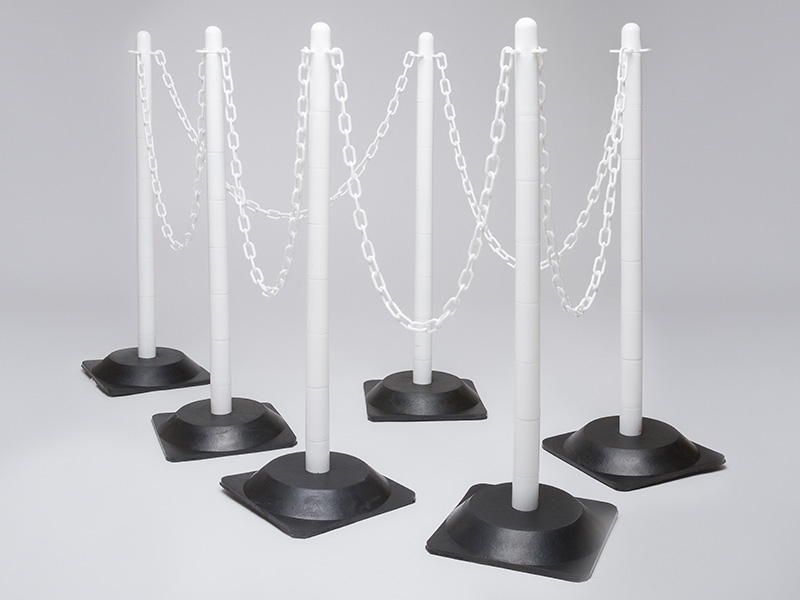 The plastic chain kit comes with a total of 6 all-white plastic posts and sets of chains that come at 2m lengths. The chains are built at a thickness of 8mm to withstand exterior weather conditions. The rubber bases of the posts are solid all the way through, serving as more than just counterweights to the posts, but providing good resistance and support for the chains as well. Along with the package are 20 connectors and 20 s-hooks to aid in attaching the chains to the posts. Additionally, if more kits are needed, they link seamlessly with this particular post set.